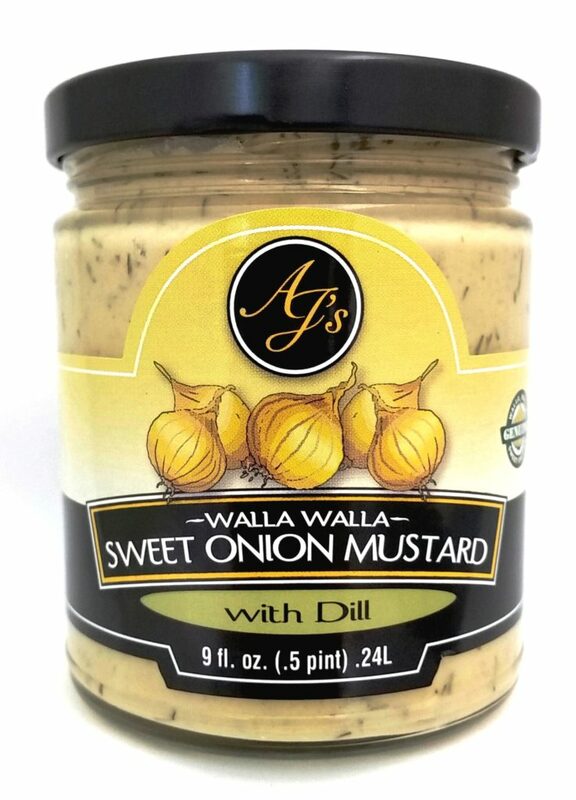 The light flavor of dill added to our Walla Walla Sweet Onion Mustard transforms it into a perfect companion to fish and chicken. 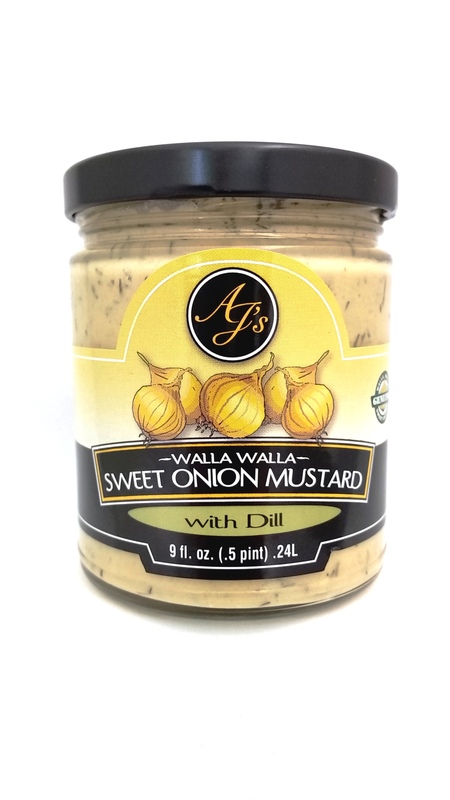 The fresh and subtle flavor of dill also makes for a great base for a vinaigrette salad dressing. 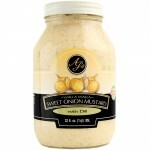 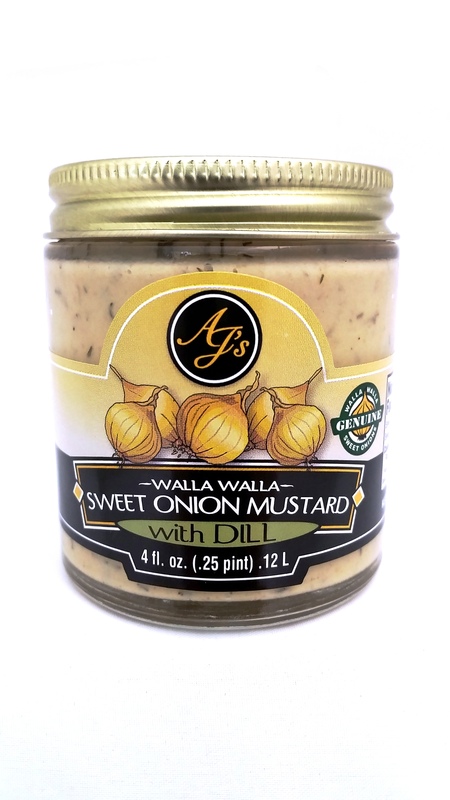 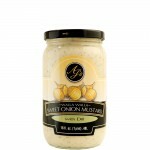 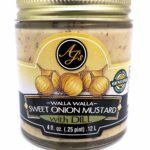 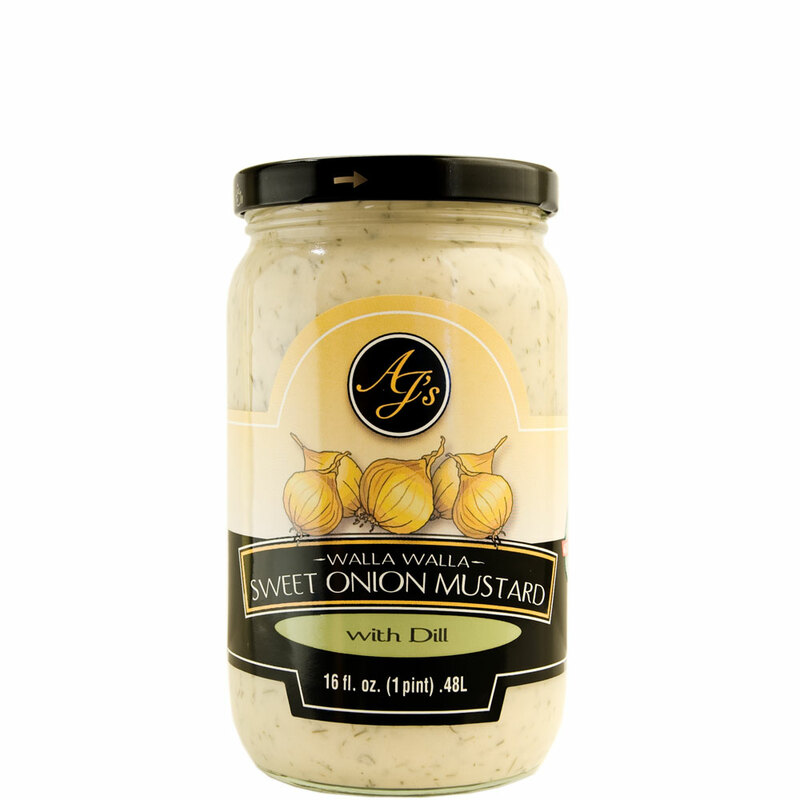 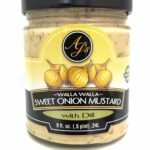 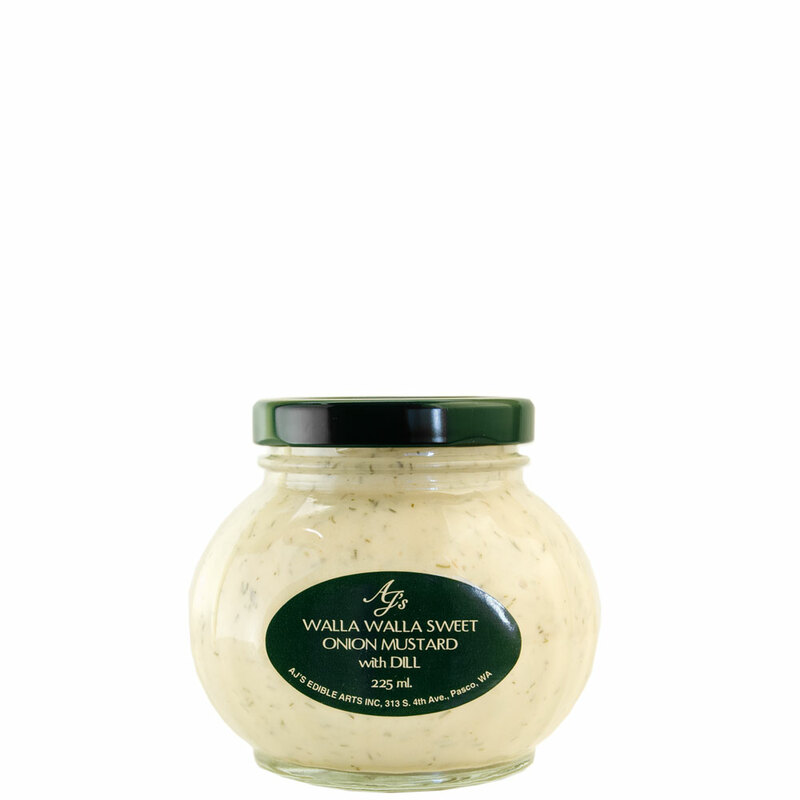 Enjoy this versatile variation of our Walla Walla Sweet Onion Mustard.